"There's no way to get there from here." But there are just some places in the world where you really almost can't get there from here unless you take a cruise. We've tried not to let it stop us simply because a destination is hard to get to. ...there would be even more if you didn't include adventure cruises as one possibility in your plans. --or to see what life is like along a river. So if you're the type who thinks an Alaskan or Caribbean or Hawaiian cruise would be too tame for you, consider some of the places we've chosen to cruise. 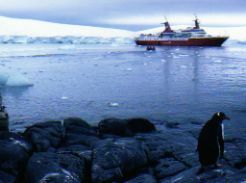 Realistically an adventure cruise to Antarctica is the only way to see this seventh continent. And if you really want to see penguins, this cruise is for you. 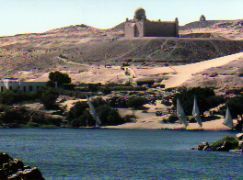 You can see Egypt by flying from Cairo to Aswan to Luxor, but to see the fabulous ruins between Aswan and Luxor and really get a feel for the Nile, you need to take a Nile River Cruise. When we went the Chinese had completed the Three Gorges Dam drastically changing the landscape, but we had a great time with what we saw. 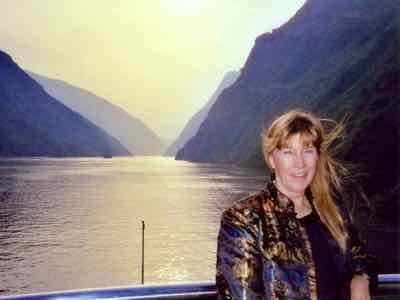 So we think a Yangtze River Cruise is still worth taking. Getting from one town to the next in Papua New Guinea requires flying. Seeing the tribal areas in the mountains involves driving on rugged dirt roads. 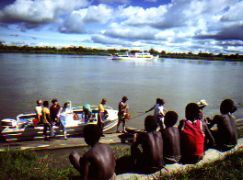 To visit the tribes on the Sepik River, you need to take a boat... and that's definitely an adventure. The old river steamboats are part of America history. 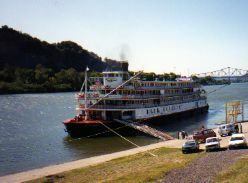 Mark wanted to take the Delta Queen because she's an original old paddle wheeler... and who can resist the sound of a calliope? She's now retired, but there are many newly built steamboats that recall that era. 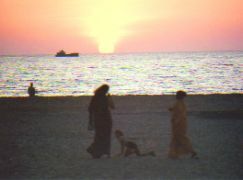 Look for unusual cruises like a cruise down the coast of India. Yes, you can fly to Bombay and Goa and to Sri Lanka, but you can't get to the Laccadive Islands... truthfully, though we went there, we can't even FIND those islands anymore! Anyone have any clues? Leave us a comment... please! A cruise down the coast of India really does qualify as an adventure cruise. OK this isn't an adventure cruise.... well, it's technically not a cruise anyway. We did spend a day boating to our lodge. 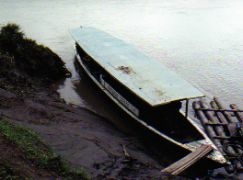 We opted for more adventure on a tributary of the Amazon, but with the right ship or boat, we wouldn't rule out a cruise on the Amazon. 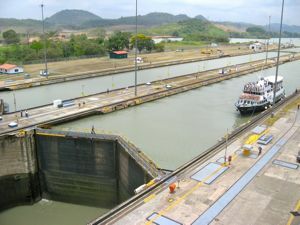 Wait a minute.... what about a Panama Canal Cruise? Well, that wouldn't really be an adventure cruise. We were short on time, but wanted to see the Panama Canal... and the adventure part was hiking and birdwatching in the jungles of the Canal Zone. You can take a day trip on the canal if you want. See the full story about our Panama Canal Drive here. 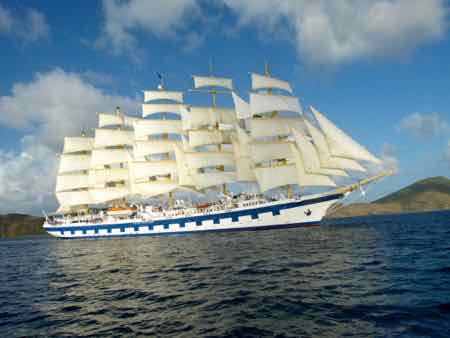 ...But in this case the SHIP was the adventure... Mark had always wanted to sail on a masted ship. The SPV Royal Clipper fit that description. Very romantic. They even let us get on the tender when she was setting sail so we could get this photo for you. Another cruise that's on Mark's radar is a cruise on the Danube from Vienna to Bucharest and the Black Sea. Or a barge cruise through wine country in France. Or maybe even a cruise on the east coast of America... north in New England (Boston, Martha's Vineyard, Nantucket) or south from Charleston to Jacksonville (Beaufort, Hilton Head Is., Savannah). I often say we're not cruise people... but look at all we've taken! It's a matter of vacation style. You'll find a wide range of cruises available all over the world from luxury to adventure, though don't think you'll give up your creature comforts for an adventure cruise. We know there are lots of people that wouldn't travel any other way but on a cruise. That's the beauty of travel and custom tours.... It's like wine, whatever you like is right. Read what cruise experts have to say at Cruise Vacation Guide. You can decide how and where you want to travel, and there will probably be a way you can do it. And you will find there IS a way to get there from here.